Used test – stylish luxury cars: Mercedes-Benz CLS vs Porsche Panamera | What Car? You’ll want to spend a lot of time in the Porsche. Its interior is absolutely beautiful, with gorgeous design and wonderful materials throughout. 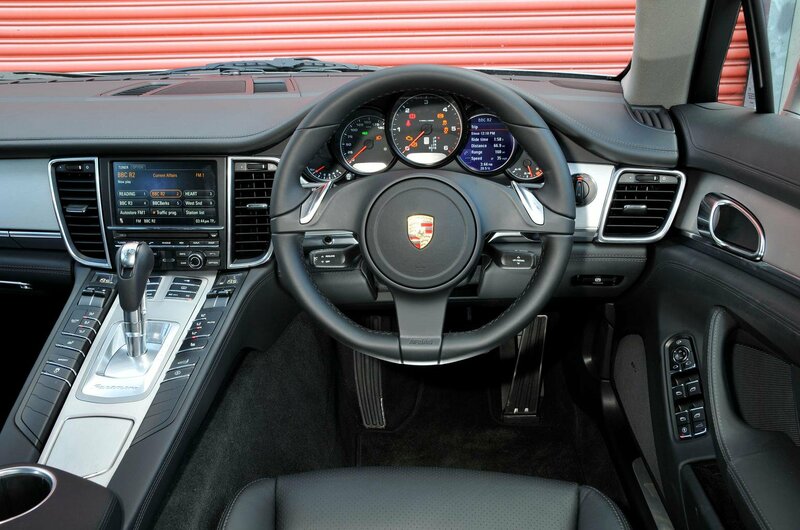 The effect of the rising centre console, which places lots of buttons and the gear shifter at your fingertips, is to make the interior of the Panamera feel like that of a supercar. The downside is that the sea of switches isn’t laid out particularly intuitively, which can make it tough to find the one you need in a hurry. Fortunately, most of the rest of the instrumentation is clear enough, and with the Porsche’s supportive seats, it’s easy to get comfortable. The same can be said of the Mercedes. Plenty of seat adjustment makes finding a good driving position easy, and comfortable seats make it a pleasure to spend time in. However, all is not perfect: the dashboard design simply isn’t as stylish or as lavish as the Porsche’s, and it’s no more intuitive, either; Mercedes’s entertainment and navigation system, especially can be rather tricky to get the hang of. The Porsche has the edge on practicality, too, thanks largely to that hatchback boot. What’s more, the split-fold rear seats mean you can expand the boot space, so that while the boot isn’t as large as the Merc’s with them up, it becomes much larger with them down. Mercedes does offer split-fold rear seats as an optional extra, but they’re vanishingly rare on used CLSs. 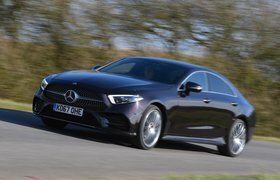 Further forward, there’s plenty of space in both cars for four six-foot adults, though obviously, neither car is quite as spacious as a four-door saloon of a similar size might be.